Prime Minister Justin Trudeau formally apologizes to former students of Newfoundland and Labrador residential schools, acknowledging words alone aren't enough to heal the wounds, and the apology is accepted by an emotional Toby Obed. Prime Minister Justin Trudeau formally apologized to former students of Newfoundland and Labrador residential schools on Friday, acknowledging his words alone are not enough to heal the wounds of the past. Standing before an audience of hundreds in Happy Valley-Goose Bay, Labrador, on Friday morning, Trudeau said the apology was long overdue, and a stain on the relationship between the Indigenous people of Newfoundland and Labrador and those non-Indigenous individuals who claimed to be educating them. "The treatment of Indigenous children in residential schools is a dark and shameful chapter in our country's history," he said in his address. "For all of you — we are sincerely sorry." Between 1949 and 1979, thousands of Indigenous children were taken from their communities to attend five residential schools that were run by the International Grenfell Association or Moravians. Many said they were sexually and physically abused, and suffered language and cultural losses. "We share this burden with you by fully accepting our responsibilities — and our failings — as a government and as a country." About 1,000 students who attended residential schools accepted a $50-million settlement last year from the Trudeau government after launching a class-action lawsuit. Those same students were not included in a settlement and apology in 2008 by then-prime minister Stephen Harper. Harper didn't apologize to the N.L. school survivors because the boarding schools they attended were not run by the Canadian federal government itself. The schools were set up before Newfoundland joined Confederation in 1949. Referencing the $50-million settlement, Trudeau said it would not have been possible without the courage and strength of those who came forward to share their experiences at residential schools. "Sadly, not all are here with us today, having passed away without being able to hear this apology," he said. "We honour their spirits, and we cherish their memories." The prime minister ended his speech with a look to the future, asking that all citizens of the country get involved in the healing process. "While we cannot forget the history that created these residential schools, we must not allow it to define the future," Trudeau said. "We call upon all Canadians to take part in the next chapter, a time when Indigenous and non-Indigenous people build the future we want together." Newfoundland and Labrador Premier Dwight Ball also attended Friday's apology in Happy Valley-Goose Bay, and said the provincial government also plans to issue its own apology in the future. "This apology is an important step, and one of many our respective governments are taking to advance reconciliation with Indigenous people in Newfoundland and Labrador," Ball wrote in a statement. 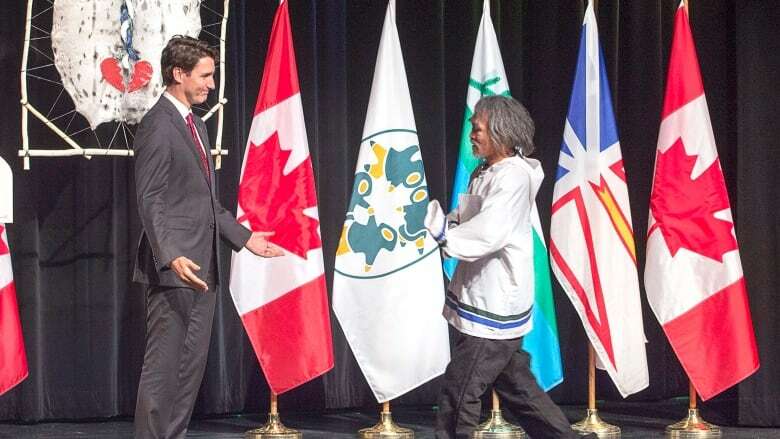 Following Trudeau's apology, Inuk residential school survivor Toby Obed, who was instrumental during the class-action lawsuit effort, accepted the prime minister's words as a first step towards healing in an emotional address. "The apology has been a long time in the making — too long," he said. "Because I come from a patient and forgiving culture, I think it is proper for us to accept an apology from the government of Canada." Obed spoke to the feelings of frustration and sadness the Newfoundland and Labrador Indigenous community felt following their exclusion from the 2008 Harper apology. "We wanted to hear those words applied to us, we felt left out, forgotten and abandoned," he said. He said the community now feels connected to the rest of the country, and despite some rejection of Trudeau's words, he personally is ready to build on them. "I accept your apology on behalf of the residential school survivors, even though some of them may not want me to," he said. "I never thought this would happen." 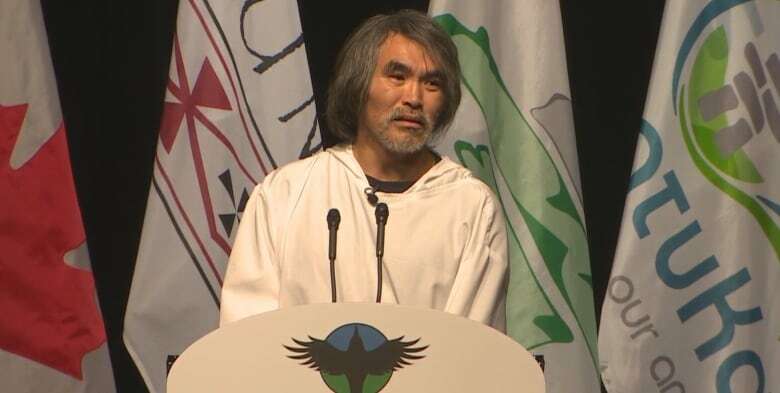 The special ceremony was meant to be a step towards healing between governments and the Indigenous people of Newfoundland and Labrador, but the Innu Nation announced Thursday night that it will not attend the event. Innu Nation won't accept Trudeau's apology for residential schools in N.L. In the statement, Innu leaders said the residential schools were only one part of their experience. The statement said besides the abuse of Innu children in IGA and Moravian schools, abuse also took place in Roman Catholic schools and in the homes of missionaries and teachers in the communities of Sheshatshiu and Davis Inlet, as well as at the Mount Cashel orphanage in St. John's — and that those cases are not being recognized in the apology. "The truth of what happened to the past generations of Innu has never been fully documented, and we can't deal with this in bits and pieces," wrote Chief Eugene Hart of the Sheshatshiu Innu First Nation.